Inaccurate articles sometimes appear claiming China faces a “severe debt crisis.” Factually these are easily refuted. Changyong Rhee, the IMF’s Asia and Pacific Department director, pointed out that China’s national and local government debt is only 53% of its GDP, compared to U.S. government debt which is roughly as big as GDP, or in Japan where government debt is 240% GDP. Foreign debt is 9% of China’s GDP – insignificant set against the world’s largest foreign exchange reserves. Factually, it is therefore unsurprising that China’s predicted “Lehman” or “Minsky” moment, a financial collapse, invariably fails to occur. But there is another, even more fundamental, reason why China’s economy does not suffer severe financial crises of the type that struck the Western economies in 2008 or wracked the Eurozone. As this illustrates a way that China’s economic structure is superior to the West’s, it is worth analyzing. Starting with fundamentals, the way the argument is constructed that China faces a “serious debt crisis” violates the most elementary accounting rule – more precisely that of double entry book keeping, which was invented in Italy “merely” eight centuries ago! This is that for every debit entry there has to be a credit one, and vice versa. Discussion of only of one side of a balance sheet without the other is financial nonsense. Claims, such as in the Financial Times, that the big story is “the black cloud of debt hanging over China” are financially meaningless given they do not discuss assets to be set against debt. To illustrate this elementary accounting principle, take a simple example. A company borrows $100 million at 5% interest, uses it to build houses, and sells them at 15% profit. To declare “there is a crisis – the company has a $100 million debt” is evidently nonsense. The company has debts of $100 million but assets of $115 million. It can repay $105 million and make $10 million profit – there is no “debt crisis” whatever. That its assets are greater than its debt illustrates why it is financially illiterate to discuss only debt without assets. A “balance sheet” is called that because it has two sides, not one. Apply this to China and the West’s financial systems. Evidently no financial problem exists in either if a borrower makes a profit on a loan – they repay it. A problem only exists if the borrower does not make sufficient money to repay the debt. If the borrower is a small or medium one, again there is no difference between Western and Chinese financial systems. In both cases the borrower partially or fully defaults and, if necessary, goes bankrupt. Specific criticisms can be made, which this author would tend to agree with, that in the West’s system companies are sometimes too easily allowed to use bankruptcy to escape debts, and China has propped up some companies that would have been better allowed to go bankrupt. But these are detailed points, not affecting the essence of the matter. China is also now taking a more robust line in forcing into default small and medium borrowers that cannot repay loans – recently Shanghai Chaori Solar Energy Science and Technology defaulted without a bail out. But, by definition, individual bankruptcies by small and medium companies do not affect the financial system’s viability – they are a normal part of market functioning. The key difference between China’s and the Western financial system comes with debts by large institutions – “system making” ones to use technical economic terms. Here Western and China’s systems differ – and China’s is superior. First take Western government debt. As Western governments ideologically oppose state investment, Western state borrowing is overwhelmingly used not to finance investment but consumption – via social security payments, unemployment pay etc. For example, in the United States at the depth of the post 2008 Great Recession, annual government borrowing was 13.6 percent of GDP but state investment was only 4.5 percent – borrowing overwhelmingly financed consumption. As Western government debt primarily finances consumption it therefore creates no lasting asset. That is why in the West it is not wholly misleading to look at state borrowing purely from the debt point of view – even if it is wrong conceptually. China is different. The bulk of borrowing, particularly by local government, is for investment, primarily in infrastructure. Borrowing therefore creates lasting assets – roads, subways, housing etc. Assets in turn create revenue streams directly, indirectly, or both. Direct revenues are fares, rents, tolls, etc. Indirect revenues are generated as infrastructure investment aids economic growth, yielding taxes, and has well-known effects in raising land values – land sales being one of Chinese local government’s biggest sources of income. As China’s government debt is used for investment, not consumption, analysis not financially offsetting debt by assets created by them is not merely wrong formally but is therefore a serious factual mistake. Similarly, company borrowing is primarily used for investment, i.e. asset creation. This leads to a final difference between China’s and the West’s financial system. In both Western and China’s financial systems, if the value of an asset created by borrowing equals at least the value of the debt, there is evidently no problem. The difference between the two comes with bad investments – where the value of the asset created does not equal the borrowing. A major financial crisis occurs when there are large scale bad investments by “system making” institutions, those that are “too big to fail” – this need not be a single bad investment but can be very large numbers of small bad investments, as with the U.S. sub-prime mortgage crisis. In these cases, in both the West and China, only the state has the resources to solve the problem. But the way the state intervenes is entirely different in China and in the West. Basic laws of economics cannot be avoided, so if in China a substantial number of bad loans occur, as with banks in the 1990s, the state also has to transfer resources. But in China the core of the financial system is not fragmented, but is a single integrated whole constituting central government, local governments, state banks, and large state owned companies. Resources are therefore not transferred by chaotic crisis, as in the West, but within this integrated financial system. China’s financial system could be conceptualized by the analogy of a single person transferring money from one bank account to another – for example from the central government to bail out local governments. Or, if you want to put it more popularly, it is as though money is transferred from one pocket to another. A transfer of resources from the state therefore takes place in China, as in the West, but in an orderly and not a chaotic fashion. 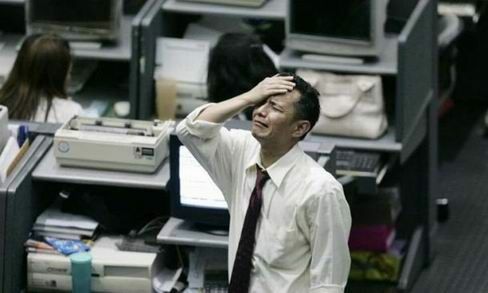 That is why China never has a “Lehman moment” or a “Minsky moment,” a large scale financial crisis – the superiority of China’s financial system to the West precludes it happening. To avoid misunderstandings, this does not mean that if large scale bad investments are made in China this does not create problems. If, for example, a bad railway investment is made which fails to generate adequate users, the resources transferred within the system to bail it out means these resources are not available to build a railway which is required. But the problem therefore not does appear in the form of systemic financial crisis, which does not occur for reasons outlined, but in the form of the economy’s overall investment efficiency declining as resources are sucked into inefficient ventures at the expense of efficient ones. ment efficiency worsened under the impact of the global financial crisis. But in the United States the percentage of GDP that had to be invested for the economy to grow by 1% rose from 8.1% to 33.1%! In other words, China came through the negative consequences of the international financial crisis much more successfully than the United States. Because they ignore elementary accounting rules, those writing that China will suffer a severe “debt crisis” are writing financial fairy stories – which is why, as with all such tales, they never actually occur. A slightly longer version of this article originally appeared in Chinese at Sina Finance Opinion Leaders and this English version, under a different title, was originally published at China.org.cn in May 2014. The theoretical analysis of confusion in some Western analysis of China is unchanged since then.